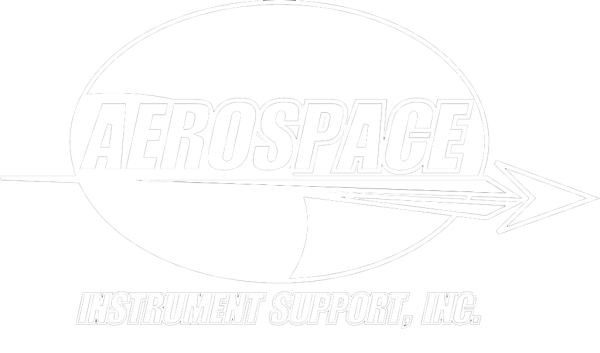 Aerospace Instrument Support is a FAA & EASA 145 repair station (XI7R807J) specializing in instrument, radio, and avionics repair. Additionally, our highly skilled technicians are able to support your aircraft both here on the field, and in the surrounding area. 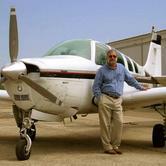 Please give us a call for all of your aircraft service needs. Aerospace Instrument Support, Inc. (AIS) is more than your standard repair shop. With our Unlimited Instrument Rating and Limited Radio, Accessory and Airframe ratings we can completely take care of your aviation needs. We have an extensive network of dealers for the latest in Aircraft Instruments and Avionics to keep you and your aircraft on the cutting edge of technology. Our staff of A&P’s, IA’s and FAA Repairmen can respond to your needs in a timely fashion, with the professional results you expect! Our Installation/Modifications experts can work with you one on one to design and upgrade your aircraft to fit your exact expectations. We are dealers for all the major OEM's in Avionics, IFE & Data connectivity. Our experienced team take a lot of pride in providing a safe and effective upgrade to your aircraft. From single engine piston aircraft all the way to Corporate Jets and fleet upgrades, we are ready to make your flying experience more enjoyable. Our talented staff of A&P's with over 20,000 sft of hangar space allows us to address maintenance issues on most any type of aircraft. Although we specialize in full line King Air maintenance and other turbo prop aircraft, we can address maintenance on everything from single engine pistons, to corporate jets. and proper quality control and safety guidelines so customers can have confidence that his work is done correctly. 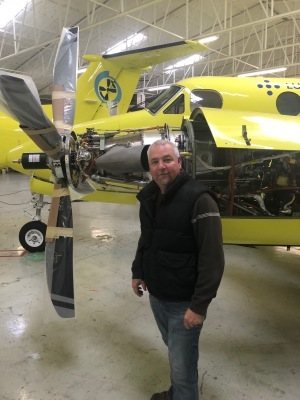 In addition to his aircraft maintenance & installation experience, Bobby also has extensive knowledge of component level repairs on various gyros, flight director computers, indicators and many other types of aircraft instrumentation. Joe joined Aerospace Instrument Support as the Director of Maintenance in April of 2018. He has 20 plus years in the aviation industry as an operations, maintenance and quality control director. He currently holds an A&P IA and is factory trained on an array of aircraft. Mr. Borden has spent a vast amount of his aviation career managing military aircraft maintenance programs in accordance with the DCMA 8210.1. He is well-versed in aircraft maintenance and operations operating under Part 91, 121, 135 and public domain, as well as aircraft operating under foreign regulations. Conducting business on a global level has allowed Joe to become sensitive to diversities of companies and people from different cultures and backgrounds. Travis is responsible for managing all aspects of the maintenance operation. 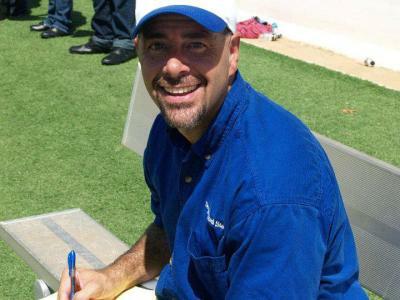 He began his career after graduating from Westwood College of Aviation where he earned his FAA Airframe and Power Plant Certification and has held leadership positions in both private and military facilities, both in the United States and overseas. 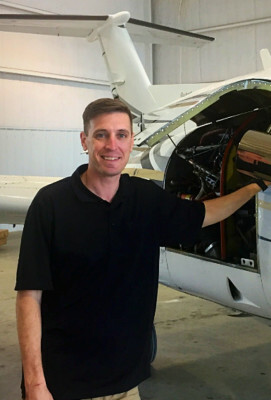 He has certifications that include PT6 Factory Training, electrical certifications, and specializes in turboprop applications. Travis is extremely motivated and dedicated to ensure the efficient delivery of high quality and safe products. Brenda Has spent almost 42 years in aviation, with much of that time being spent as a gyro/instrument technician. She has held the positions as Lead Technician, Inspector and General Manager/part owner of various shops in the DFW area. Now her career has led her here to AIS as Chief Inspector/ QA Manager. 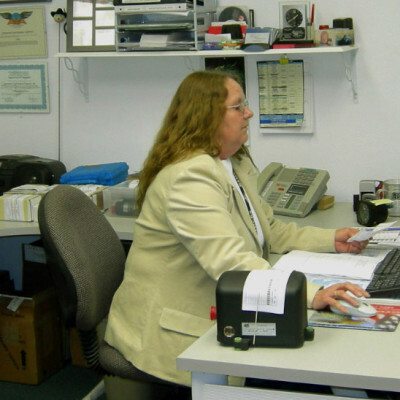 She holds a FAA Repairman's Certificate and knows the instrument business inside and out.